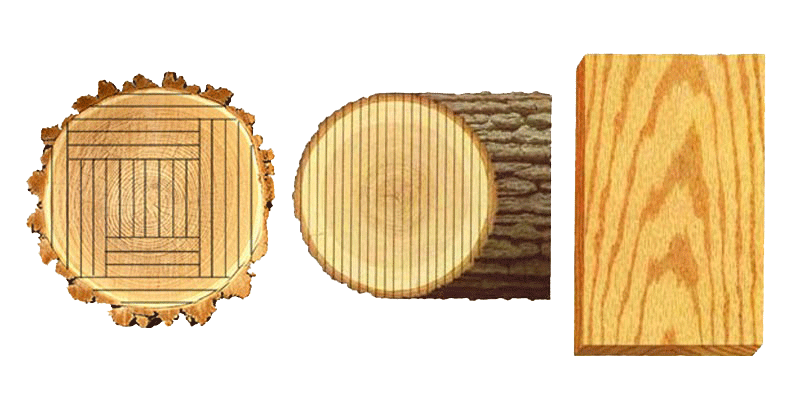 This method of cutting produces flat-sawn (also called plain-sawn) lumber. 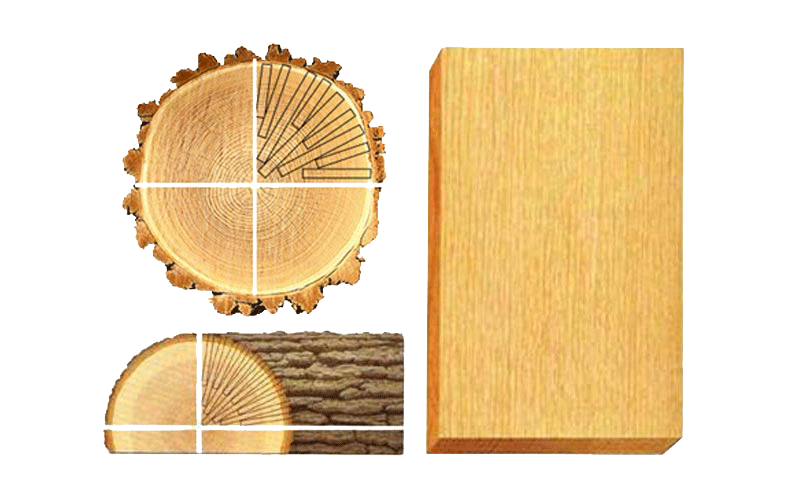 Plain sawn cut is very common, resulting in boards with the familiar “cathedral” like grain patterns on the face of the lumber. 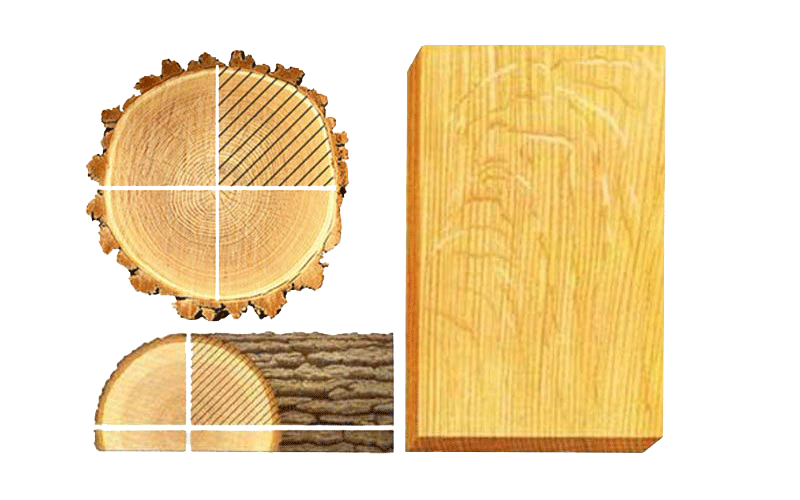 A flat-sawn log can be cut in several ways. Sometimes the sawyer will roll the log after each cut to find the best face. This is called cutting for grade and produces the nicest boards in plain sawn cuts. Synfonia Floors offers a variety of different cuts depending on your desired look. 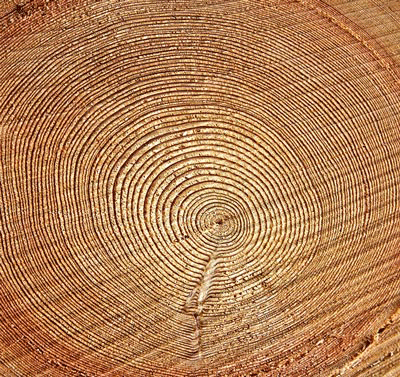 In Quarter sawn method, logs are cut radially, resulting in straight grain patterns that lend themselves creating beautiful custom designs. The Quarter Sawn lumber is only available through very limited supply partners. Synfonia Floors offers beautiful European White Oak planks that are quarter sawn to create perfect patterns that match your custom decor and desired look. This unique sawing method produces the beautiful "ribbon & flake" pattern that Quarter Sawn lumber is known for. Rift and Quarter sawing also produces a more stable product due to the direction of the grain which provides increased density. Stability refers to floor's expected reaction to climatic conditions. Rift & Quarter Sawn planks are typically used when installing over radiant heat floors, or when installing near a body of water. Rift sawn lumber is dimensionally superior to both Plain Sawn and Quarter Sawn lumber, with a unique, linear appearance on both sides of the lumber. These products are hard to find anywhere else but we offer a unique selection of them at Synfonia Floors. Our focus is to design, maufacture and offer the most beautiful floors using Rift and Quarter Sawn lumber to our customers.